Hello everyone, today I have the haul from my little adventure around London yesterday as promised. Now I didn’t go crazy but I definitely thought I was made of money when making a couple of these purchases especially in Selfridges, that place just makes you want to buy everything you see! Before I headed into central London I took a little trip out to Edgware which is in zone 5 on the northern line as I was told about a Topshop sale shop where everything is reduced, granted a lot of stuff is last season but you can pick up some really nice stuff as I did yesterday. The girls in the shop were really nice and I ended up chatting to them for a good while, it’s nice to see people actually enjoy their job! This shop used to be buy one get one free on everything but sadly not anymore 🙁 But I still picked up some amazing bargains! In the shop everything is separated into sizes but I still sifted through every section just incase some things had been put back in the wrong place. 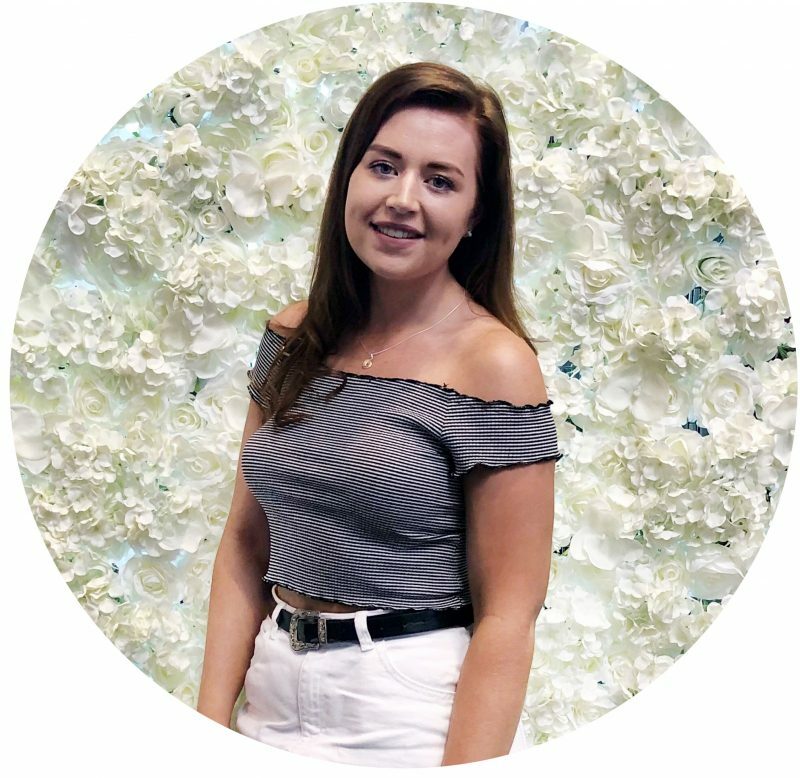 The first thing I picked up was the heart monochrome printed cut out shoulder blouse which is actually a size 16 but when I tried it on it fitted nicely and just looks like an oversized blouse and doesn’t cling to my body which is always good, also it was reduced to £15! The next thing I picked up was the Metallica top, now I didn’t actually realise what it said and no i’m not a Metallica fan but I really liked the top and it was only £5! As I was looking through the rails the white asymmetrical top kept popping up and I ended up buying it as it was only £5 and it really intrigued me as it had one cut out shoulder sleeve but I have tried it on this morning and it is huge especially for a size 10 so I’m gonna have to do some alterations on it but I like the idea of it. Lastly, this I picked up by chance as I was heading to the tills but the colour of this high low hem deep blue dress really caught my eye and it was my size so I grabbed it seeing as it was reduced to £20. 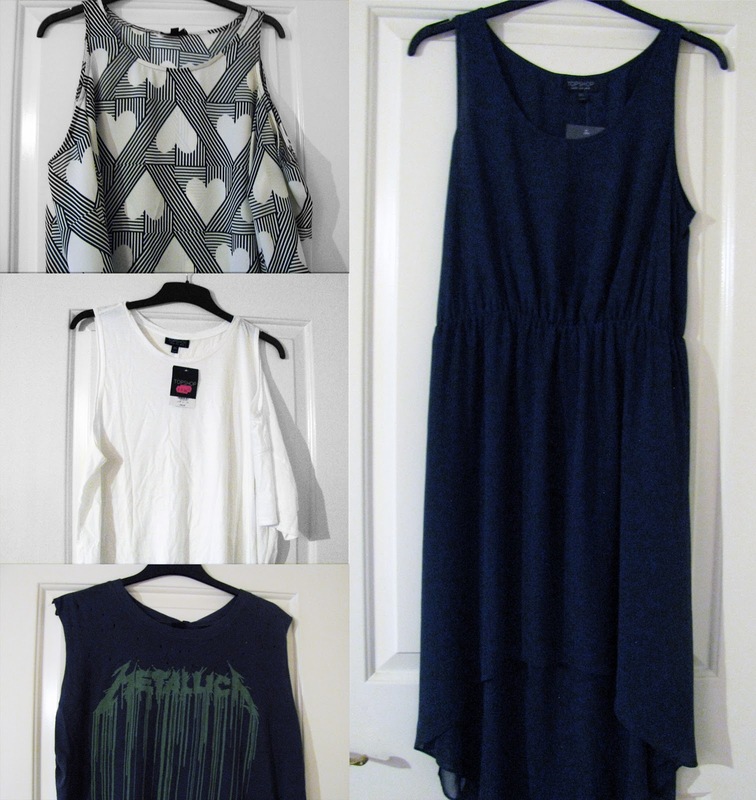 Thats all I got from Topshop but there was plenty more I could have got! You can’t go to Oxford Street and not go in Selfridges and I was so overwhelmed that I didn’t even go around the whole shop as I got so confused and lost but from what I did see I was in awe! Now I have never had the experience of being at a MAC counter and it’s safe to say it took advantage of me and by spending capability and I cracked and bought MAC Rebel… I can’t even explain this one other than I have seen it on so many blogs and swatching it at the counter just made me want it even more so I bought it. I feel very bad but also really happy that I did buy it. I will do a review soonish on this. 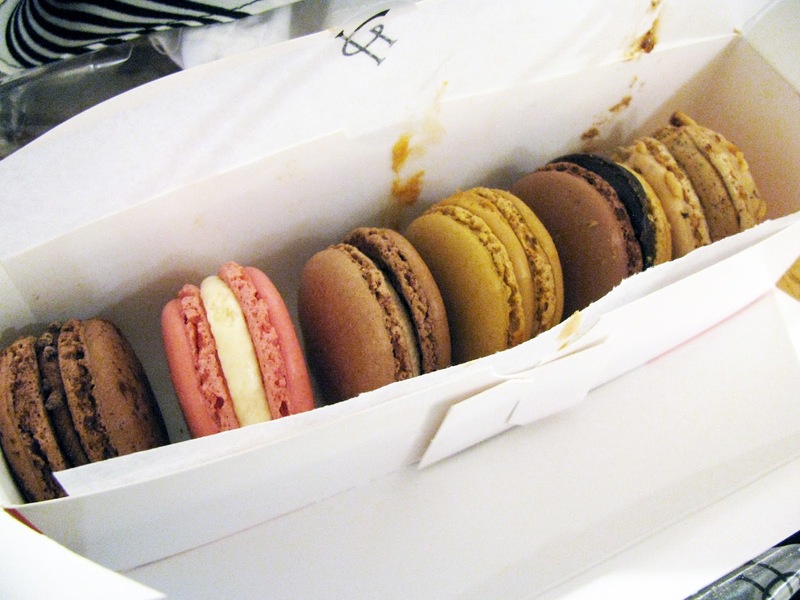 I also came across a macaroon counter and could not resist as I hardly ever get to have macaroons and damnnn they are tasty! If you read yesterdays post you will know I stumbled upon M&M’s World yesterday! I was so excited, and it was so so so big and so many different M&M’s! For anyone who as been to any of the M&M’s World’s you will know that you can’t go in there and not buy some M&M’s and thats exactly what I did and I got truly ripped off as I paid almost £6 for the smallest bag ever.. but they are so so so tasty! Primark was my last stop of the day as there was a few bits from the home section that I wanted to pick up as many of you know that I’m moving house this summer and I get to completely redecorate a new room and I get an en-suite too! I decided to go to Primark last as I did not want to be carrying a humongous bag around London with me and I’m so glad I did because the bag was bloody heavy! I didn’t pick up too much as I didn’t want to go overboard but I did pick up a few really nice things. 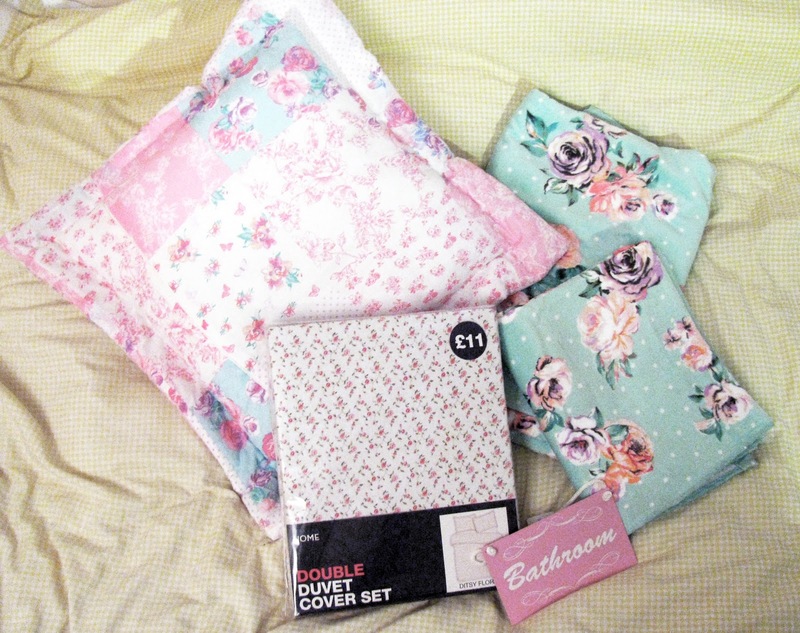 I have had my eye on the ditsy floral bedding for a while now so I knew I was definitely going to pick this up. I had also been looking some of the scatter cushions especially the cute owl ones they have at the moment but I ended up getting the patchwork style cushion instead as it fits in more with the theme I’m going for and it was only £5. I then strolled over to the bathroom section and instantly fell in love with the mint and floral print towels so I got a large bath towel and a hand towel. Next to those I also noticed a few little signs to hang on your bathroom door and I really liked the pink bathroom sign which says ‘do not disturb’ on the opposite side, so cute! So that is all I got and that is my last London haul for you all! I leave London on Friday next week and it’s gone so so so quick but I have enjoyed every moment of my placement and London experiences. Make sure you are following me on Blog Lovin‘ with this whole GFC whoohar that is going on this week!